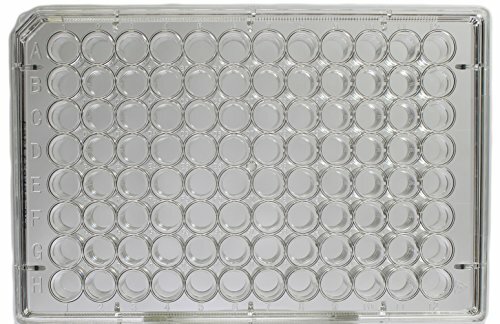 Olympus Multiwell Plates are offered in 6, 12, 24, 48 and 96-well formats and are available tissue culture treated or non-treated. Plates have striation free, completely flat well surfaces that maximize usable growth area. Each well is labeled with easy to read alphanumeric markings and features a raised rim that nests into molded condensation rings on the single position lid to reduce evaporation and prevent cross contamination between wells. 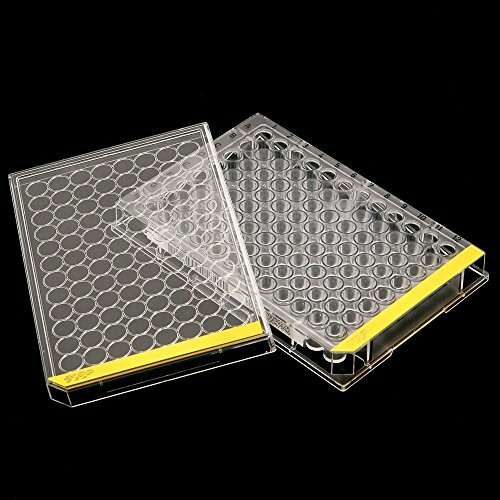 Plates feature serrated edges for easy handling and an exterior stacking ring on the lid for added stability and ease of interlocking stacked plates. All plates are supplied with lids and are packaged in durable paper/plastic hermetically sealed pouches. Plates are lot number traceable, sterilized by gamma irradiation and certified RNase, DNase and Pyrogen Free. 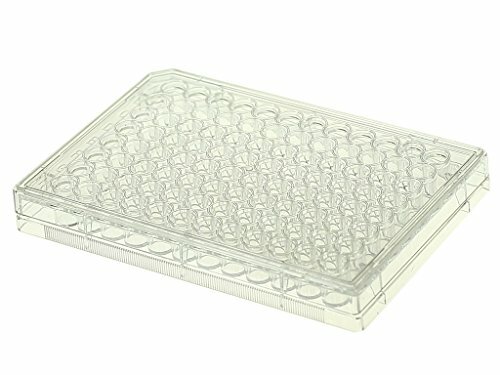 Olympus Tissue Culture plates are manufactured in a class 100,000 clean room facility in compliance with ISO 9001:2008 and EN ISO 13485:2003/AC:2007. They are made from the highest quality 100% USP VI crystal class virgin polystyrene to eliminate all extraneous materials, ensure the integrity of your cells and offer exceptional transparency and observability. Olympus products are certified DNase, RNase Free, Non-Pyrogenic and are sterilized by Gamma Irradiation. CELLTREAT Tissue Culture Treated Multiple Well Plate with 96 wells. Flat bottom. Cell Growth Area: 0.33cm2. Max well volume: 0.39mL, working volume: 0.075 - 0.20mLPlates are labeled with alpha-numeric markings for easy identification of individual wells. Each well has a raised rim which nests into the rings on the single direction lid to reduce evaporation and limit the risk of cross contamination. Lids have a stacking ring for added stability when handling tall stacks of plates. Manufactured from medical grade virgin polystyrene. RNase/DNase Free and Non-pyrogenic. 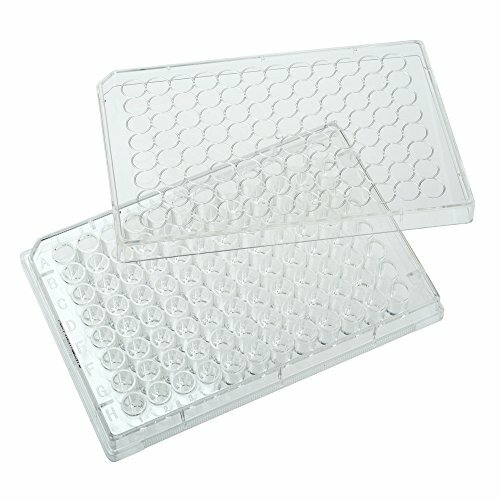 All multiple well plates are packaged sterile (gamma irradiated) in peel-to-open tray packaging. 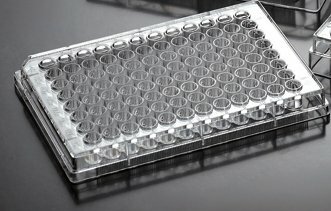 Nest cell culture plates have round edges for better handling. Low profile, low-evaporation lid design assure uniform growth. Choose tissue culture-treated or non-treated surfaces. growth surface is more hydrophobic than tissue culture surface and is similar to the surface of a bacteriological Petri dish. 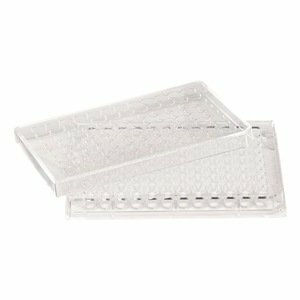 Small feet on the bottom corners of each plate eliminate scraping of the microscope lens. 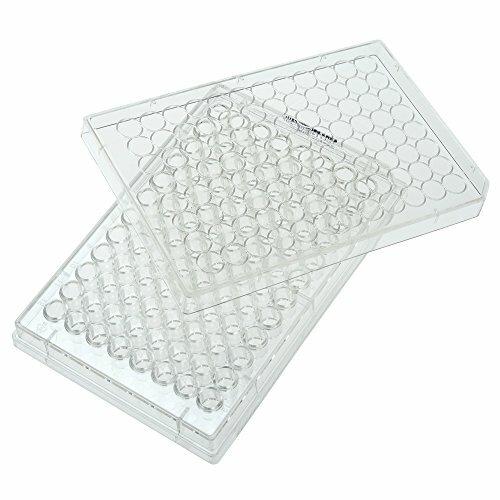 This  pack of 96 well tissue culture plates from Jet Biofil are RNase/DNase free and come sterilized in individually wrapped peel to open packs. These are surface treated and have a flat bottom. 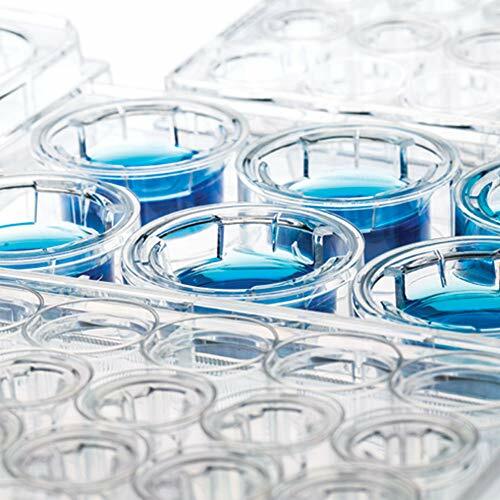 Ideal for cell growth and cell yields. The well surface is smooth and free from striation to maximize usable growth area. The single position lid reduces the risk of cross-contamination and handling mistakes. The wells are labeled with an alphanumeric code for easy identification. Shopping Results for "96 Well Tissue"